John Donne: Elegy 20. To His Mistress Going to Bed. Velázquez. 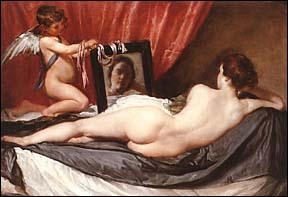 Venus at her Mirror. 1649-51. London, Lawrence & Bullen, 1896. 148-150.